That's how travel journalist Krista feels when she arrives in magical Quebec to report on Canada's glittering Winter Carnival. Climb inside this snow globe, but beware it could get hot enough to melt all the snow! I admit that it was love at first sight of this book. It reminded me of Tiffany's with it's powdery duck egg blue cover, and it looked like the sort of book that I would adore from the first word. But it didn't happen like that for me. Winter Wonderland and I had a more complicated start to our relationship. 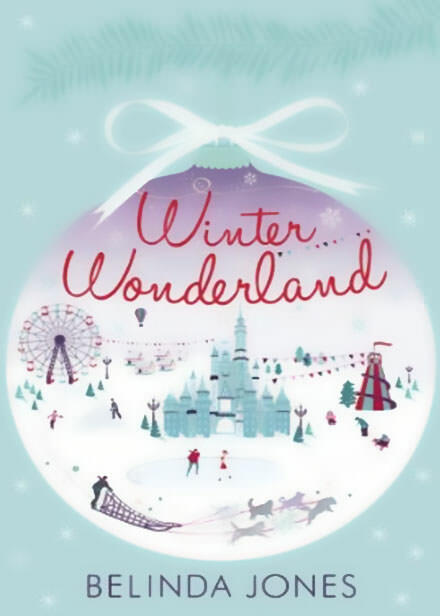 I read the first 20 pages or so, and then for one reason or another I began to read other books, book after book, without even giving Winter Wonderland a second thought. Then, as Christmas and winter approached again, I noticed it on my bookcase and decided it was time that I must read this book! I started with trepidation re-reading the words that were vaguely familiar and waiting for the "bite" that made me never want to put it down. It was more of a slow burner to start off with, but it came eventually and once it arrived, the flames gripped me and became all-consuming. Having now finished the book, I can say that I did adore it. It is wonderfully romantic, but not in the usual obsessive chick lit way i.e. the romance is not ever present, it doesn't take over or take anything away from Krista's story of reporting in Quebec. I liked her relationship with her best friend back home, which provide some fabulously funny skype and texting moments. One of my favourite aspects was the husky dogs, and in particular, the husky puppies!! Belinda's description was so fantastic that I could almost feel their deep soft fur snuggled against me.